I'll begin here by making a reluctant confession: I did not see enough movies in 2018. Blame video games, blame work, blame mental health or what have you, but as I look at the full list of movies I've seen, I disappoint myself. Foolishly, I thought I could at least stuff some last minute showings of Vice, Mary Poppins Returns, If Beale Street Could Talk Back, Can You Ever Forgive Me? and more, but alas, I miserably failed. Alls I got to fit in was Bad Times at the El Royale, which was a massive disappointment. If I were to list my top favorite movies, they would undoubtedly mostly be Marvel movies. From the MCU alone, I'd probably put Avengers: Infinity War and Black Panther at the very top, closely followed by Spider-Man: Into the Spider-Verse. Take those out of the equation, and even Ant-Man and the Wasp and Deadpool 2 would slip in—maybe even Venom for shits and giggles. Let's remove Marvel out of the equation for a moment. The following list of five movies is not only disappointing, but was due back in January—and I'm late because I planned to watch several movies that I ended up not watching. It's a wonder that Matthew Razak hasn't fired me yet. Has Matt fired me yet? No? Okay, then. It might seem like adding Creed II to a top five list is grasping at straws, but this sequel entranced me for a number of reasons. First off, having a movie that co-stars Michael B. Jordan and Tessa Thompson absolutely spoils me. It's been wonderful to watch these two performers continue to rise and the chemistry between the two have grown even more since the first film. There's something so inherently silly about the Rocky movies of yore, Rocky IV especially. It was a simplistic and cheesy Cold War-era story, but Creed II continues off of it with a much more personal and realistic vibe. Seeing the conflict from within Adonis Creed brought some of the best out of Jordan, and everything felt like it came from character rather than plot. Maybe it didn't have the initial power that the first film from Ryan Coogler had, but to say that the sequel falters in any way is disingenuous, in my opinion. Whoa, an Asian-American writer really likes the Asian romantic comedy? I remember my hype for this film dying once I found out that it was a "romcom" based off of a book—not only that, but it was directed by Jon M. Chu, helmer of classics like the Step Up sequels and G.I. Joe: Retaliation. But you know what? Maybe that flash that Chu displayed in those movies served him well in Crazy Rich Asians, which was a stunning production with a story that I very much related to. This film had an energy that I appreciated and operated at a wavelength that I understood. 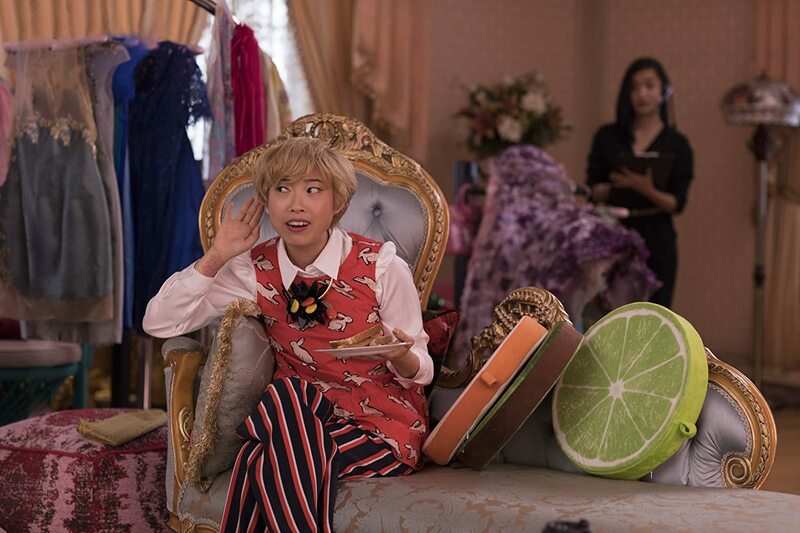 It understands the difference between Asian and Asian-American, and it played with those cultural and familial dynamics in a way that set it apart from standard "romcom" fare. It's an excellent showcase of Asian talent for the Western world, something that is sorely lacking due to the way Hollywood operates. Plus, did you see all of that food in the movie? Mmmm. I've said it before, including in my written review for this site (which Matt told me is excellent! Don't fire me, Matt! 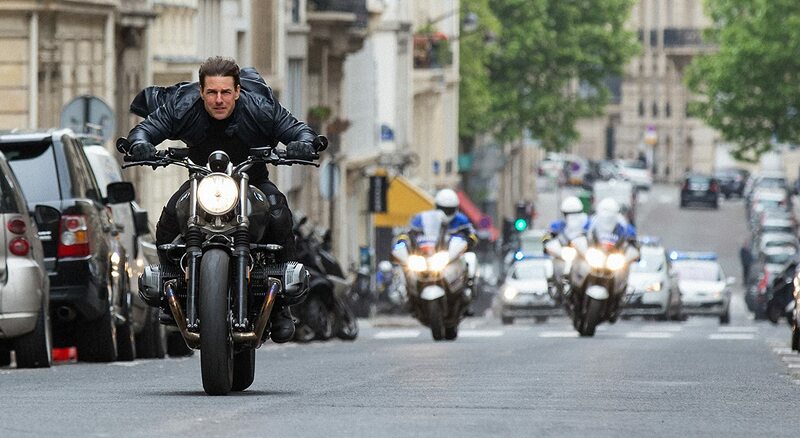 ), but the sixth Mission: Impossible movie is so powerful that it can beat you up. I've always been a champion of the later Mission movies, and I've been surprised by how each one has topped the last. Even so, I was unprepared for how much of a journey Fallout would be. Maybe some will say it's overly-long, but it made for the most captivating action cinema for me in recent memory. I'm hard-pressed to talk about more of the movie other than the bathroom fight sequence, but it's the best demonstration of why Fallout works so well as an action movie. The fight is set up in a precise manner, with a good understanding of the space and geography. You can feel every hit, and each action beat feels very distinct. It's relentless for sure, with chase sequence following chase sequence, but everything is shot so gorgeously, more so than anything previous in the series, that I allowed for the film to work its magic on me. Never underestimate the power of watching a movie without seeing the trailer beforehand. All I had seen from the film was a poster, and a friend informed me that it was about Lakeith Stanfield using a "white voice" to move up in a corporate hierarchy. As a fan of Stanfield in Atlanta, and with no knowledge of writer/director Boots Riley's history of activism, what I witnessed afterwards was the most surreal and compelling experience I had in a movie theater that year. Sorry to Bother You is not a perfect film—some of the gags felt out of place, the tonal shifts are a bit too jarring (think From Dusk 'Til Dawn, as an example for a major shift), and Riley's first-time effort occasionally lacked technical prowess. Luckily, I really didn't care for that. Pure unpredictability and originality is lacking, not just from blockbusters but even other independent and art house films. For Riley to tackle on the issues of labor and racism in such an off-kilter way felt like a gift. I've relayed my experience on what watching Roma was like in my Golden Cages contribution, so allow me to try elaborating further. Because of various Spanish classes I took in high school, I've viewed and digested numerous films about unrest and revolutions and uprisings in various South American and Central American countries. No offense to any of those fine movies, but Roma had an X factor that made this little slice of history more tangible (other factors being probably a higher budget and higher profile director). Newcomer Yalitza Aparicio, an indigenous woman from Mexico, gives a very soulful lead performance, apparently her first ever in a professional feature film. Tracking this entire story through her, learning about her thoughts and desires through subtle directing and writing, and watching the fantastic background action around her, made for a stunning film experience. But like I mentioned before, make sure that even while watching it on Netflix on a television that the sound is excellent—more so than any film I can remember in the past several years, Roma is truly able to pull you into somewhere completely different.